Get Senior Care services in PA as low as $17 Hour. Call us for details. Carecore Home Health is a non medical home care agency, providing quality care for the disabled & elderly. Our goal is to help you in your daily chores and make your life comfortable. We only provide quality caregivers. Carecore is the finest example of home care. They arranged a CNA caregiver for my dad within 3 days because my father was coming back from rehab. The owners takes interest in the case and they follow up with you almost every day. My other came from nursing home last week. And we couldnt find suitable care for her until I contact them. They were very fexibale and easy going company. The best thing about them is that they don't leave u if the caregiver don't show up to the door. Because they always have two caregivers dedicated to a sale client. One who takes care and other one as a back up. I would highly recommend their services. Your business states "Home Health," yet you provide no medical services. I am very impressed by the number of employees you have out of an apartment. I am truly impressed by your accomplishments and wish you many years of growth and success. First of all thank you Leslie for your review & best wishes. 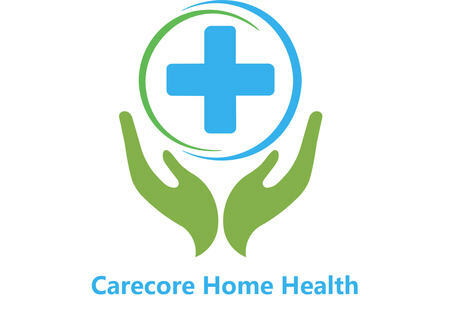 Our business name is Carecore Home Health. And if you go through our website all the services provide under this entity are listed. We are not marketing out business, stating we provide medical services. Secondly we are not running out of apartment. We have an office in the northeast Philly. We would love to help you out, if you have any questions & concerns. Feel free to stop by at our location and website for more assistance. Let me know if there is anything we can do to make your experience Better. Thank you. My grandmother was very sick and we could find a suitable aide for her. Who could come on time and do her chores. Thankfully we find carecore they are very professional and caring people. Very happy to have them since may 2017. A++. They understand all your needs.The good things about them is that they examine my mother before they accept to take her case. My mother is really happy. wonderful care at affordable rate highly Recommended!! !